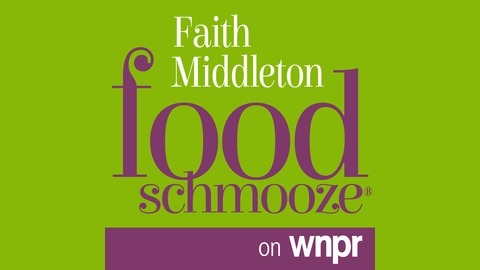 Listen to the Faith Middleton Food Schmooze on WNPR radio Thursdays at 3pm and 9pm, and Saturdays at noon. You asked for it, and we’ve got it for you: a Food Schmooze® hour dedicated to the Instant Pot sensation. Why have home cooks put their slow cookers aside and jumped on the Instant Pot bandwagon? (Even Faith has one now!). Bruce Weinstein, co-author of the blockbuster cookbook, The Instant Pot Bible, explains why Instant Pots have staying power and shares recipes for every size and model of Instant Pot. 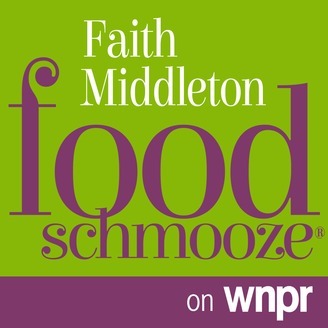 If you have an Instant Pot, do not miss the chance to get a copy of The Instant Pot Bible and support The Faith Middleton Food Schmooze® at the same time. For a gift of $6 a month or a one-time gift of $72 to Connecticut Public Radio, we will send you The Instant Pot Bible. With 350 recipes for breakfasts, lunches, dinners, snacks, and desserts, you’ll never be at a loss for what to cook in your Instant Pot again. You may even be inspired to get an Instant Pot, if you’re not one of the five million people worldwide who already have one.